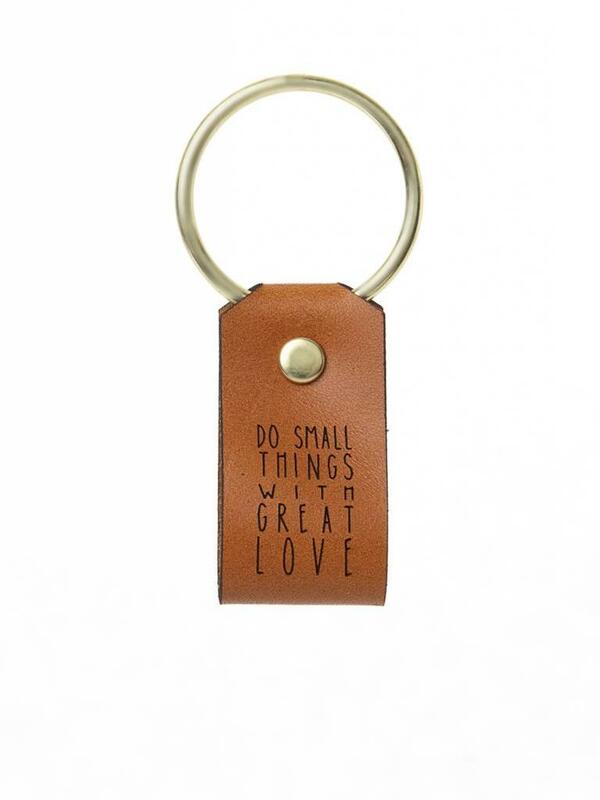 Screen dyed leather keychain with laser engraved message, "Do small things with great love". Leather patina will darken and become softer over time. Metal details are made from brass. 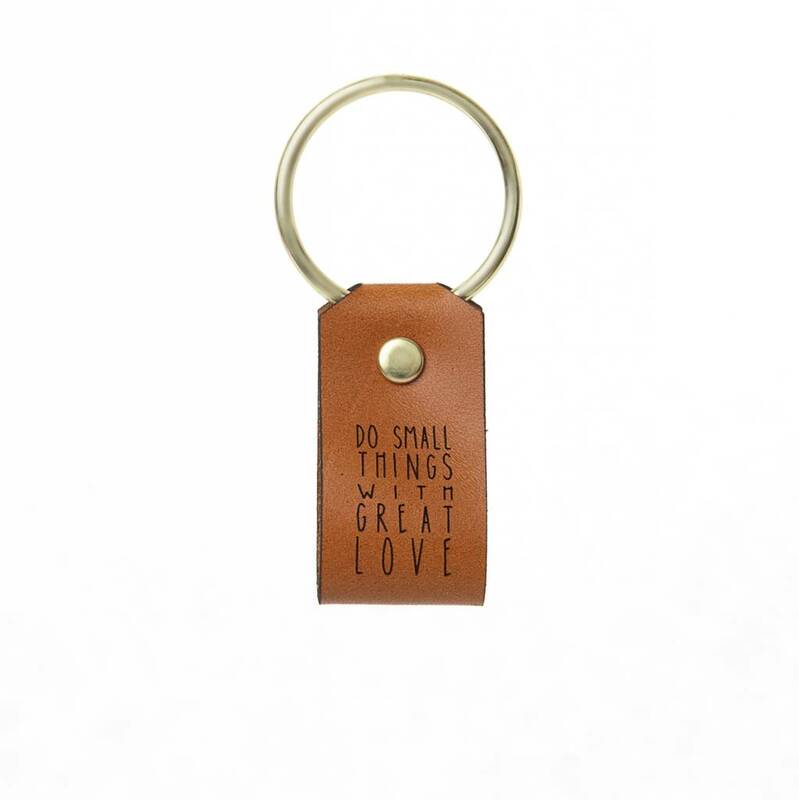 2.75" high x 1.25" wide (including key ring).